Contact: Tower Point, Sydney Road. Enfield Town. Additional Info: I am an intermediate alto sax player. I am 18 years old. I am from Buenos Aires, Argentina, but now I am living in London. 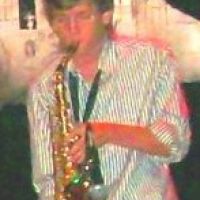 I am an amateur saxophonist with many years of experience performing with a variety of jazz, pop, and rock groups spanning all genres as well as recording tracks for myself. Currently open for opportunities performing on alto saxophone and flaute. I learn to play the saxophone with the best argentinian teacher called Miguel de Caro, the only one saxophonist, who plays Tango with his saxophone.